Professor Wallace is one of Australia’s leading specialists in obstetrics and gynaecology. In 2013 he was made a Member of the Order of Australia (AM) for his contributions to medicine in the field of obstetrics and gynaecology. In 2015 he was elected a Fellow of the Academy of Health and Medical Sciences. 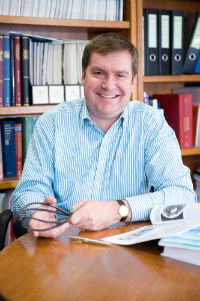 Professor Wallace joined Monash University in 1996 as a Fellow in Maternal-Fetal Medicine, becoming a Senior Lecturer (1997-2000) and subsequently an Associate Professor (2000-2006) in the Department of Obstetrics and Gynaecology. 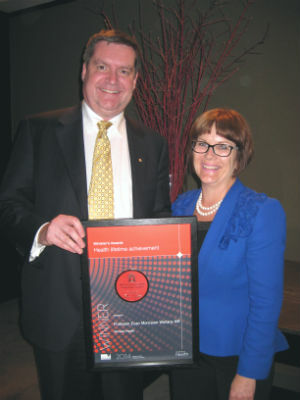 In 2006 he was awarded a personal chair, named in honour of the inaugural head of department of obstetrics and gynaecology at Monash University – Professor Carl Wood. In 2013, Professor Wallace succeeded Professor David Healy as the Head of the Department, establishing the Carl Wood Chair as the Head of Department chair. Professor Wallace is also an Executive member of The Ritchie Centre, one of the world's leading research centres for perinatal and women’s health research. The Centre is a collaboration between Monash University, the Hudson Institute for Medical Research, and Monash Health. Within The Ritchie Centre, Professor Wallace leads a maternal and perinatal research group. His research is focused on preeclampsia, fetal development, cerebral palsy, stem cells and regenerative medicine, and patient safety. His publications can be accessed here or via the “find out more” link below. From 2006 – 2016 Professor Wallace was Director of Women’s Program at Monash Health, Australia’s largest women’s health service. In December 2016 he stepped down as Program Director to take up the role of CEO, Safer Care Victoria, a new office for healthcare quality and safety improvement within the Victorian Department of Health and Human Services. Professor Wallace established Australia's first guidelines on fetal surveillance and Fetal Surveillance Education Program, which are now in every hospital providing maternity care in the country. Find out more about Professor Euan Wallace. Authorised by: Chief Marketing Officer, Strategic Marketing and Communications. Maintained by: FMNHS Webmater. Last updated: Dec 2017.